Learn to transform physical products from digital scan data into digitally correct complex Creo surface & solid geometry as an integral part of your product development process. In this class, participants will learn to manipulate point cloud imports scanned from clay or existing products using Restyle software from PTC. Participants will work with a choice various classroom and customer based scan data to learn Creo Restyle Reverse Engineering workflow and techniques. Using Creo to reverse engineer enables productive use of imports in a Creo Assemblies of intellectual property for both checking for interference, snap fit for eventually developing more effective products. This workshop for those designers or engineers looking to utilize point cloud & Facet Data for reverse engineering products or shapes. Prior import experience with surfacing is not necessary however a significant ability using Creo Surface is nessesary for this class. 1 Clean up and scan tangible part to create point cloud then faceted data. 2 Manage and manipulate facet data as appropriate. 3 Apply curves and surfaces to faceted data. 4 Creo Surfaces to merge then formulate Solids. 5 Develop Parametric data for a potential set of changes. 6 Change geometry as necessary then reprint prototype. The class described on this page covers STEPS 2 & 3 and only briefly touches upon STEP’s 1, 4, 5 & 6. More than basic surfacing experience is necessary for this class therefore we suggest the Design Engine One Week Long Product Surfacing Workshop as a prerequisite to this class (STEP 4). The next class after this Restyle Intensive is the Advanced Import Class that utilizes import geometry for creating parametric Creo geometry or our Level 5 class for making imports parametric (STEP’s 5 & 6). Review basic import functions of scanned data. Since we often don’t have control as to how items are scanned, learn to manage these awkward rotated & complex imports with respect to various coordinate systems so the rebuild surfaces are true to a desired first coordinate system. Go over in great detail the edit definition functions for import geometry and facet data. Learn to use Relex, Refine, Decimate & Clean faceted data appropriately. Learn to do it locally to one portion of the part versus another to optimize accuracy effectively. Learn to add, remove and repair facet data. Create and modify curves including curves on faceted data. Create, edit, and manipulate freeform polynomial surfaces, including high degree B-Spline and bezier surfaces using the faceted data and curves. 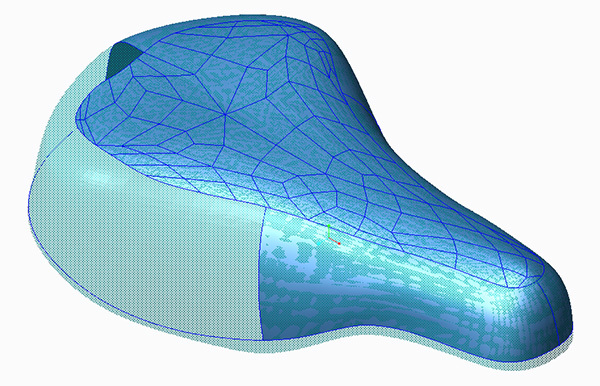 Learn to use curve on facet data to limit AutoSurface tools & and other 3D Mesh Sketch Tools. Learn to utilize a multitude of imports and connect several restyle features for a finished solid model. Fit freeform curves and surfaces to faceted data. Learn to manage Positional, Tangent and Curvature. Continuous curve connections are now supported within the Restyle feature. 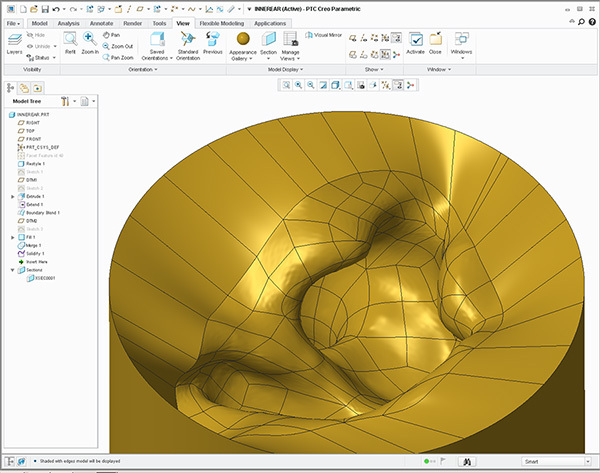 Learn to manage connectivity constraints including Position, Tangency, and Curvature Constraints between surfaces and curves. Learn to manipulate import points and facet data with various tools. Learn to create delete and recreate facet data from points on various tessellation models. Learn to rebuild a set of surfaces geometries on top of faceted or triangulated data & Creating other various NURBS surfaces for later creating solids in Creo. Learn workflow solutions and problem solving techniques with Restyle. Learn to use the Creo Resytle Model Tree effectively. Learn to create best fit datum planes to Domains. Learn to create revolve and extrude surfaces with Domains. Describe a Domain workflow with a closed loop. Learn to create and use Domains on faceted data. Discuss various scanners and scanning techniques for later purchase of scanner equipment or for choosing a 3d party for scanning projects. Automatic surfacing in the Restyle functional area provides a simple, progressive means for creating surfaces. AutoSurface functionality is ideal when working with extremely complex, organic shapes however there are techniques for limiting the scope of the AutoSurface tools. Discuss with examples. Discuss Polygon imports and contrast from Geomagic. Learn to create Domains and use them for more accurate extruded and revolved surfaces. Learn to use AutoSurface with all the various options. Discuss strengths and weaknesses of various tools. Creo Restyle ie using Revolved Domain vs extruded Analitical Surface for a specific example. Discuss alternate techniques to manipulating the facet geometry using decimate clean. Discuss first article inspection techniques within Creo. Discuss the multitude of scan data techniques and offer suggestions to technicians who actually conduct the scanning process for easier recreation using Creo & Creo Restyle. Discuss various techniques for creating b-side or offset surfaces as shelling techniques for reverse engineered products. With examples using import geometry to check for assembly interference. 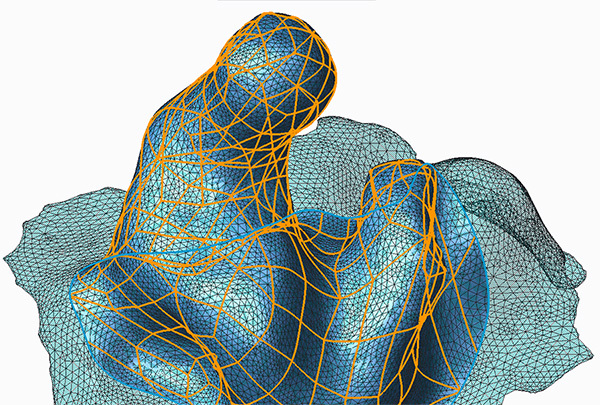 Briefly discuss building parametric curve and surface geometry directly or indirectly from IGES or STEP geometry (this is a separate two day class called the Design-Engine Level 5 Surfacing workshop for building parametric surfaces from Scan Data) Parametric surface and solid models. 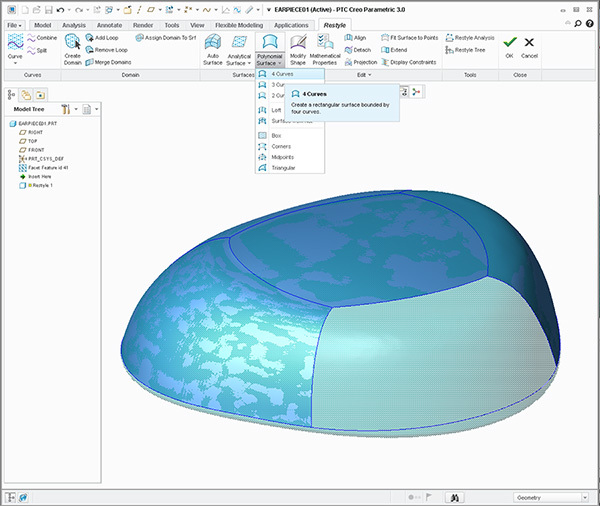 Compare Restyle to using Creo Style to reverse engineer components and make parametric and robust geometry that can be modified after analysis. Compare to Creo Resytle functionality to Geomagic tools and workflow. Compare workflow for offsetting Restyle vs offsetting faceted data. This Creo Restyle Reverse Engineering workshop is a two-day intense training course which was developed for seasoned product designers and engineers looking to use what they produce from their scanner equipment. We help you create surfaces then solids from scan data with a serious of exercises. As with all Design-Engine classes participants keep the training material login and password for life. Note: Portions or all of this class can be presented within the Design-Engine WEEK TWO Surfacing week long intensive.